Classical music aficionados listen up! 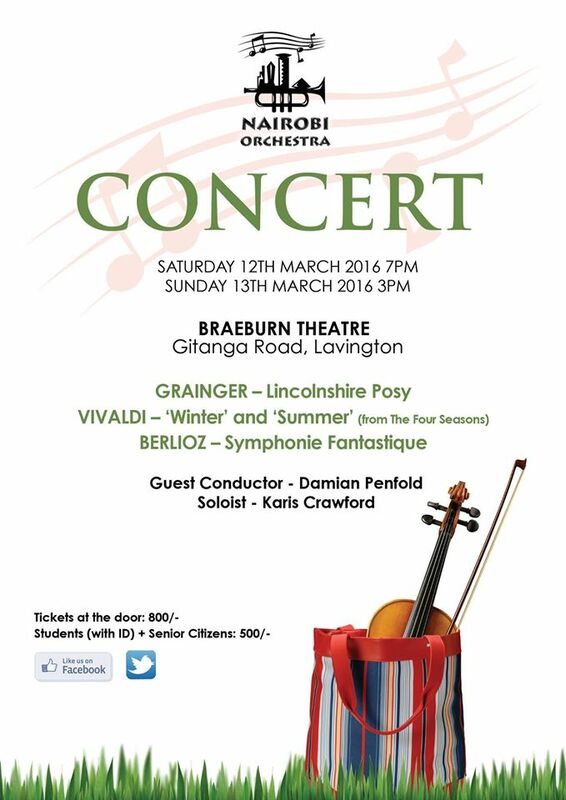 The Nairobi Orchestra is poised to take over the Braeburn Theatre on the 12th and 13th of March 2016. 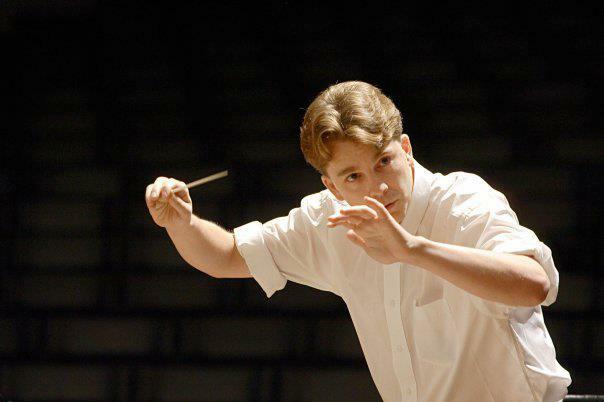 According to the organizers you should look forward to a lineup of orchestral pieces that give a ‘Sweet palatable offering’ for the musical ear. It will be an opportunity to listen to renowned works by Vivaldi, with extracts from four seasons symphony ‘winter and summer’ pieces, Berlioz ‘Symphonie Fantastique’ and Grainger ‘Lincolnshire Posy’. 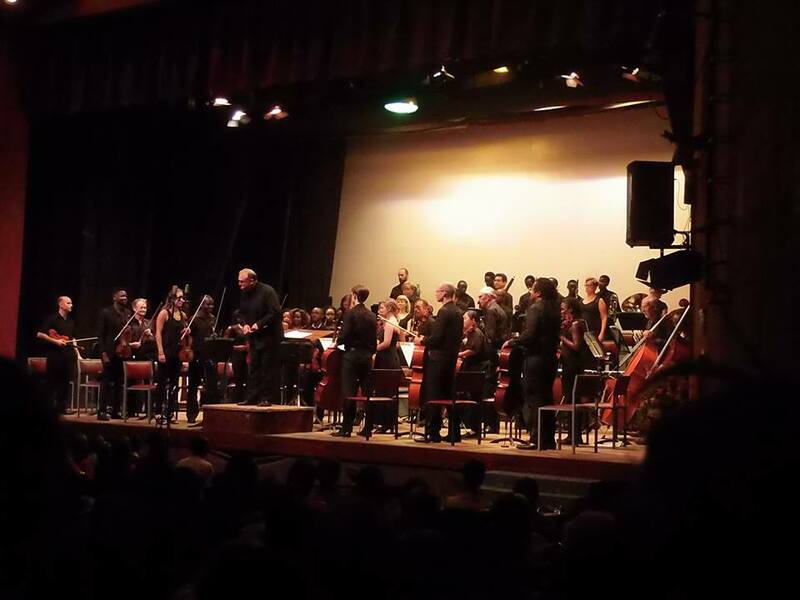 The Nairobi Orchestra will perform the Concerto No. 2 in G minor, Op. 8, RV 315, “L’estate” (summer) and Concerto No. 4 in F minor, Op. 8, RV 297, “L’inverno” (Winter) pieces by Vivaldi, which originate from the Four Seasons Symphony. The arrangements are bound to make the audience, sit back listen and smile, as they bring about a warm feeling to the body and soul. 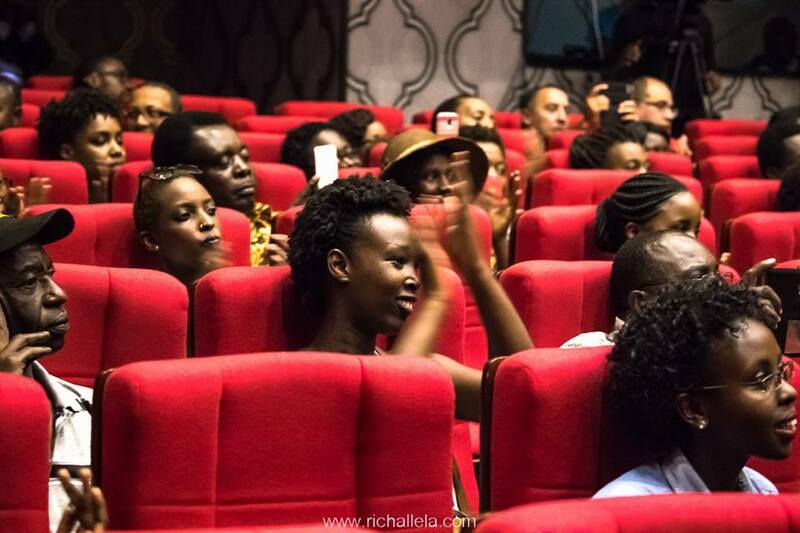 An effect, the Nairobi Orchestra will surely accomplish. 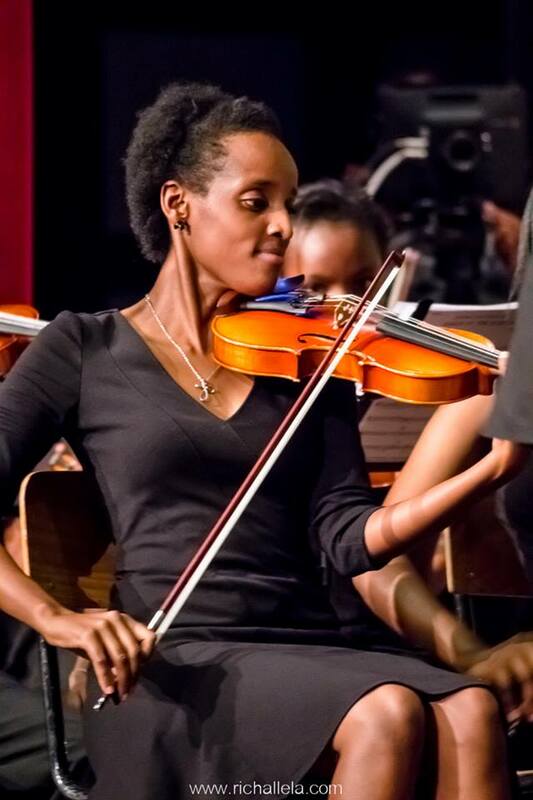 On this occasion, the Nairobi Orchestra will welcome violinist Karis Crawford as the soloist for the two movements performed from Vivaldi’s works. Lincolnshire Posy will be the second work performed, an established masterpiece for wind ensemble. Grainger, the composer of the work, puts together a collection of brilliant and creative arrangements of an old folk song, drawing comparisons to last November’s performance of Copland’s work by the orchestra. The highlight of the concert will be a performance of Symphonie fantastique by Berlioz. 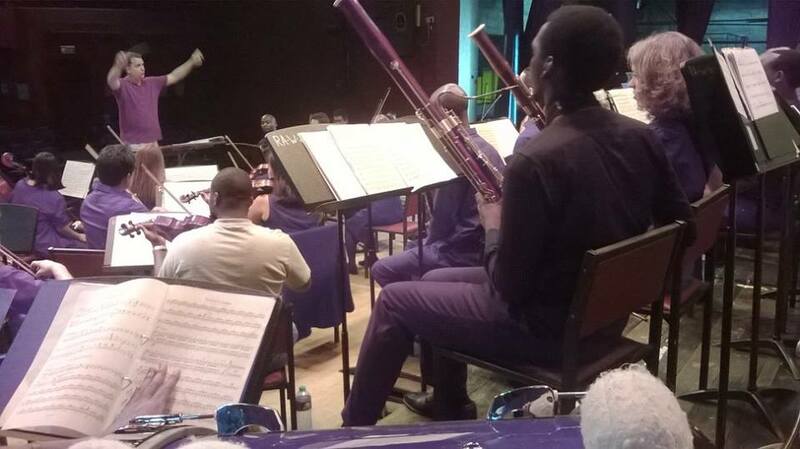 Kenya National Youth Orchestra has previously performed an extract from it, the fourth movement, with a bassoon solo. Symphonie fantastique by Berlioz,tells a story of a beautiful lady whom Berlioz is in infatuated with. The piece begins by introducing the listener to the vulnerable side of the love-struck artist, with the violin and the flutes flirting virtuously with a charming melody. The second movement then invites us to a ball. In the third movement, Berlioz, opens up and confronts his childhood memories and lays them bare for the listeners to digress. Galloping through the 4th movement, the artistry of Berlioz begins to manifest, as he shows us the sinister side of his imagination. We then encounter Berlioz’ Satanic Dream in the 5th movement. With Symphonie fantastique, Berlioz stepped into his artistic maturity expressed in 54 ‘fantastique’ minutes. The beauty of this piece is that Berlioz wins the love of his life eventually, his darling Harriet.